Happy Labor Day to All!!!! As for Precarious Possessions, Tia and I have determined that it should be ready this December. I know, it’s a far cry from May but we want it to be perfect. Besides, both of us have had a lot going on in our personal lives. It’s a downer, but it’s part of self-publishing. As for the title of this post, I’m going to take this time to actually rant about myself for a minute. As we all know, I’ve been working on a few new projects. 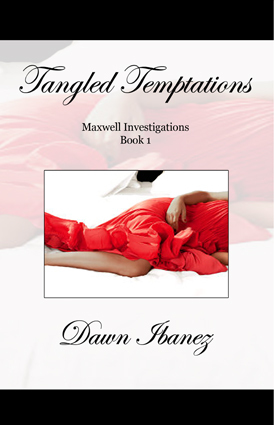 Dangerous Dalliances (Maxwell Investigations 3), as well as working on a new line. If you’ve seen me on Pintrest, I even have a couple of character specs. I’ve written what I’ve thought up to, and now as I’m looking back and reading it, I’ve come to a problem. I don’t think I actually LIKE my Heroine and Hero!!! I look online and everyone’s talking about how they adore their characters, I can’t seem to stand mine. Karson has done nothing but cry and Liam has been there for her, but he hasn’t shown up to be the alpha that I originally intended. It’s rather depressing. And poor Barry… the woman who is the love of his life isn’t giving him the time of day… so naturally (since he’s based off my older brother) HE isn’t giving ME the time of day (the jerk). If he were real, I’d probably kick him… (and yes, I have kicked my brother when he’s acted like this with me… sorry Pete LOL). Part of me wants to scrap what I have with Karson and Liam. I just may. There were other base ideas that I have that I think I can work on and get better results. That’s the good thing about having a twisted mind. The bad thing is that there are times when I feel like I have too much going on IN said twisted mind. That’s when I end up with a soap opera where 30 pages passed and nothing has really happened. So right now aside from DD, Karson and Liam have had my attention, and a character that I had thought of for a storyline years ago wants some attention. I think I’ll give Anya a shot. Maybe she and her hero can make something out of the tangled mess that my mind is. Thanks for listening to the rant!